Over the last few days I’ve been lucky enough to attend the annual Specialized dealer launch held this year on Queensland’s sunny Gold Coast. I’ve seen a plethora of product – the whole 2015 range and I’ve been impressed by the range of women’s specific offerings. 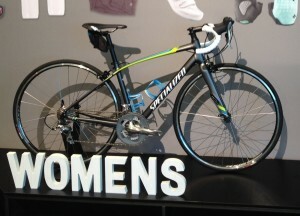 Specialized has nominated women’s specific products as one of its key areas of focus for the next few years. In the presentation I attended they divided the market into a number of experiences (a little bit cheesy I know but it sort of made sense). The ‘experiences’ are: fitness; endurance road; triathlon/performance road; sport trail; and performance XC. For each of these there are a number of bikes and accessories. Era – All new women’s mountain bike called the Era. It’s a high end, high spec women’s ‘all mountain’ bike and includes an S-Works model. 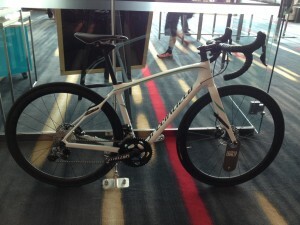 It was described to me as the women’s EPIC (Specialized MTB model). I test rode it and it was pretty awesome. I’m not a mountain biker so I’m not the best judge but it felt great to me. Jynx – Specialized has also created a new entry level women’s hard tail mountain bike with 650b wheels. There are a few models ranging in price from $649 to 899 and seen to represent pretty good value. Ruby – There are plenty of new Ruby models but the standout for me is the Ruby Pro Disc which has Ultegra electronic gearing and disc brakes. 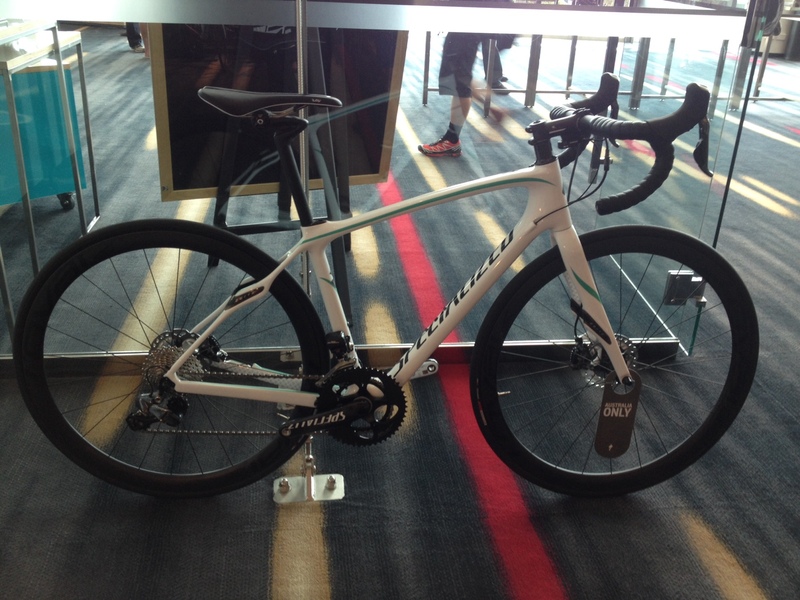 It’s the first road bike I’ve ridden with disc brakes and it was pretty impressive. It will set you back just $7,999. stealthy matt black which doesn’t appeal to me (I was thinking of an upgrade this year but it probably won’t happen now). Dolce – The entry level women’s road bikes continue on as before, with some nice new colours in the range including the Dolce Elite (pictured). Helmets – The helmet range has had a make-over and all now include the ponytail port (known as Hairport) making it easier to wear a helmet with your hair in a ponytail. There’s some nice new colours in the range, although a little too much pink featured for my liking. 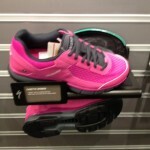 Shoes – Most of the shoe range continues with a few new additions. 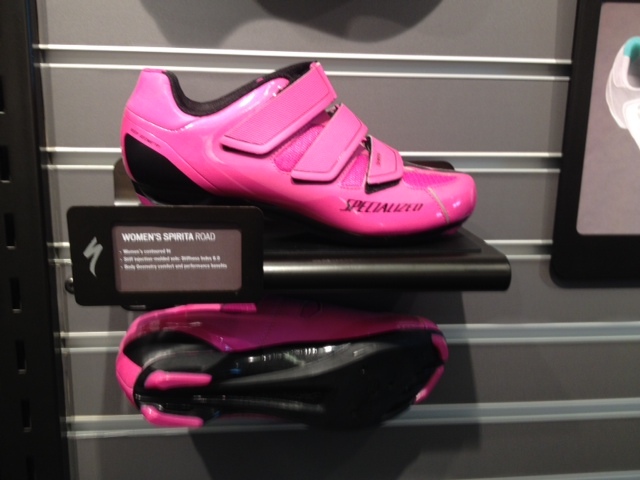 The Zante women’s road shoes replace the Pro and come in a rather fetching silver or black/pink colour. 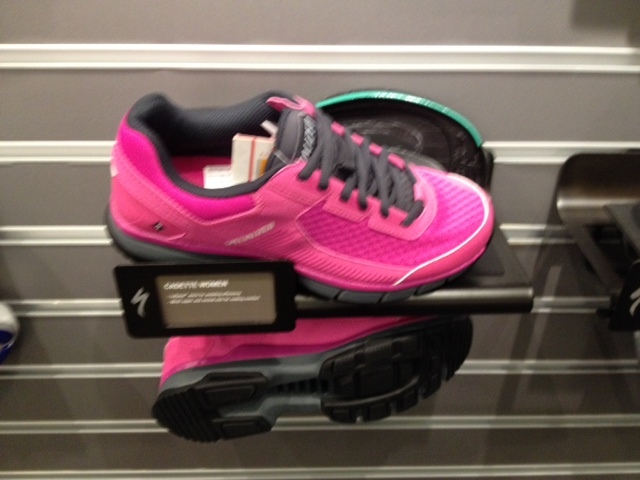 There’s also new pink shoes in the entry level Spirita shoes – a bit lolly looking for me but they will appeal to those of you who love pink stuff. 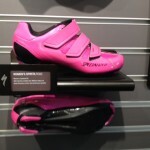 also come in pink or blue and look pretty much like running shoes rather than cycling shoes – a great improvement over the Tahoe shoes they replace. 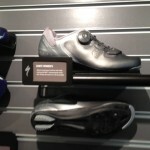 Specialized has also launched a new flat pedal shoe called 2FO (foot out, flat out) and there’s a women’s version in a blue colour (at least it’s not pink!). Saddles – There’s a new women’s mountain bike saddle called Myth that I tested on the new Era bike. It was super comfy and developed just for women and is covered in low-friction material that makes it easy to slide on and off (a very important attribute for mountain-biking). So that’s my highlights. 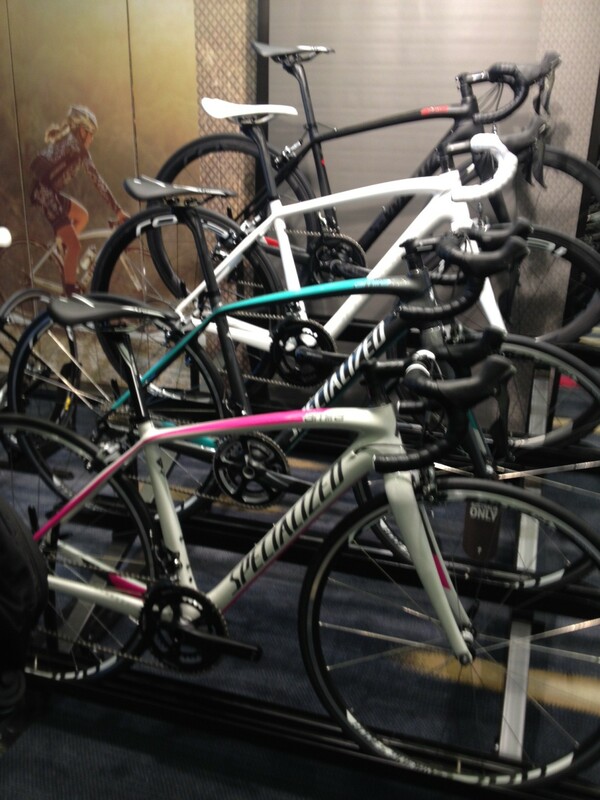 Thanks to Specialized for hosting a great event. Could you post any pictures you took of the amira models? 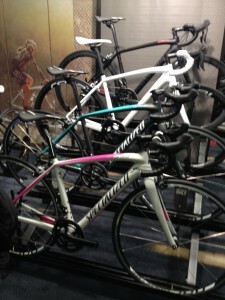 I don’t believe they’re on the specialized website yet.